15 Feb Get the Kids Moving with Mobile Laser Tag! If you’re holding an outdoor birthday party, family reunion, or fund raising event and you’re looking for ways to keep the kids occupied, mobile laser tag may be the answer! With Columbus Laser Tag Express, it’s easy! We’re the mobile laser tag division of Buckeye Video Game Truck, and we serve the greater Columbus area. The best thing about it? You don’t have to do a thing! 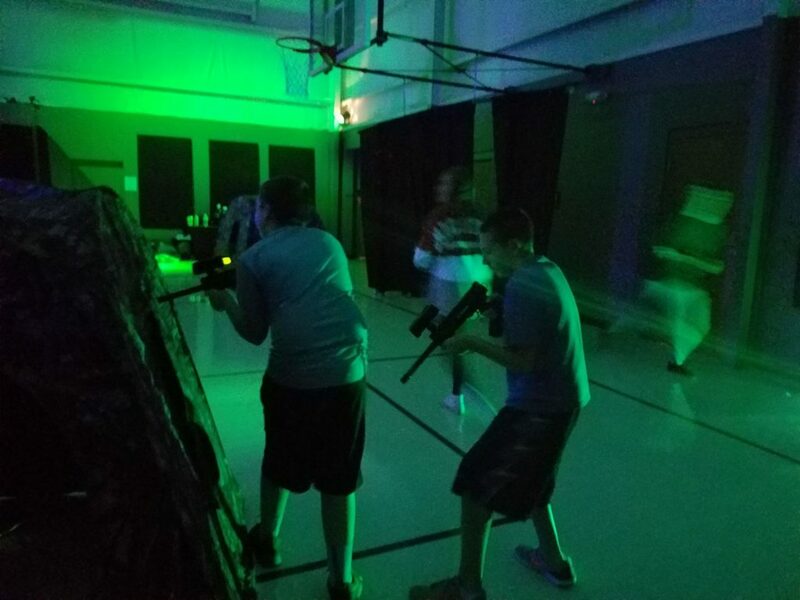 Our game coach scouts out your site and sets up a laser tag “battlefield” complete with barriers, and keep kids coming back for more with several different game variations. You’ll wonder why you never thought of including mobile laser tag in any of your events before! Rounds of tag usually last ten minutes or less, which means that we can easily cycle through a large crowd, making sure that everyone gets a turn. Of course, small parties are a great venue for mobile laser tag too! The standard rental prices include the game coach’s assistance, pop up barriers and bunkers, and ten gaming taggers. We can accommodate requests for additional taggers for a fee. We’re devoted to making your event a success, so if you have questions or special requests, don’t hesitate to contact us. Make your event one to remember. 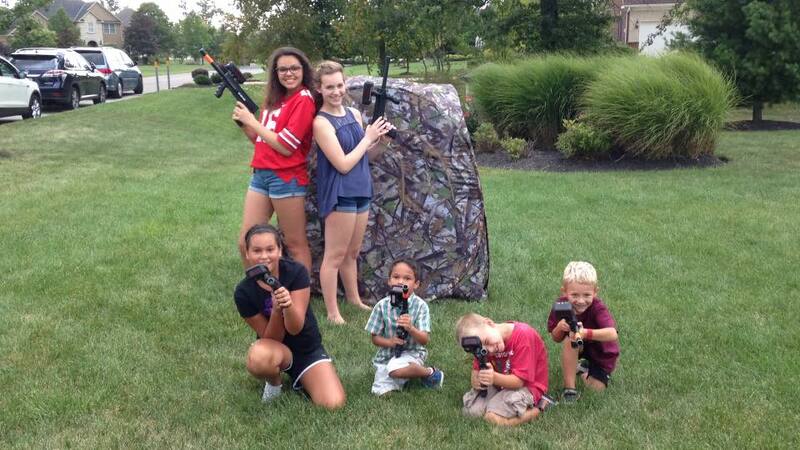 Mobile laser tag guarantees that your guests will go home with a smile on their face. And remember, laser tag isn’t just for kids! Adults love laser tag too, whether it’s for a party or a creative corporate event. After all, how better to liven up your team building exercises or cooperation retreat? Your guests will be engaged and invigorated! Contact us today to help plan your event in Columbus, Franklin County, Delaware county, Pickerington, New Albany, and the surrounding areas. We’ll be waiting!